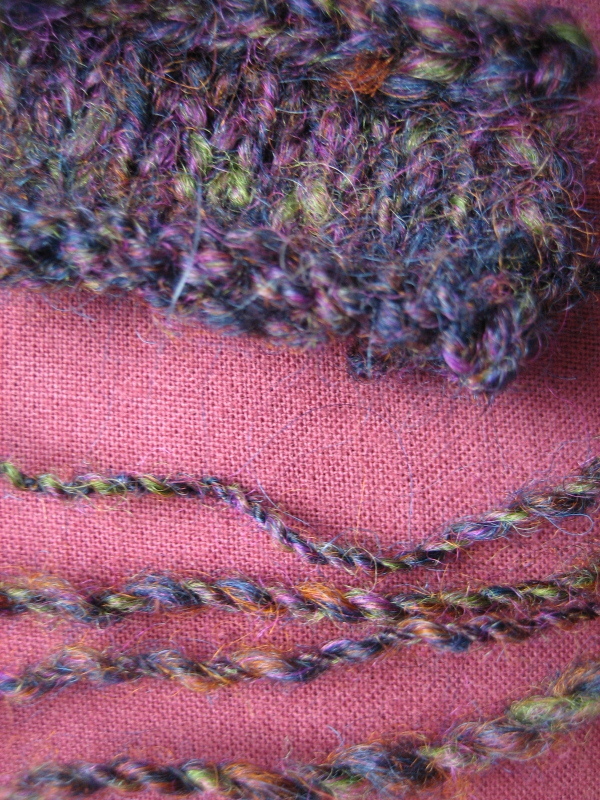 The Knitting Pirate » In Which the Pirate Spins and Swatches. « In Which the Pirate Rambles. In Which the Pirate Spins and Swatches. Last night I started spinning, but realized I was getting a thicker single than what I'd really wanted. After a few yards, I decided to just ply what I had and knit it into a little baby swatch, just so that I can say "I've knit with my own handspun!" Plying on a drop spindle from both ends of a center-pull ball is not so much fun. Then, I was too impatient to set the twist, which would be a mistake for future "real" spinning but didn't matter much in this case. Handspun yarn on Etsy seems to go for a fair amount of money. Hmmmm. This entry was posted on Sunday, October 21st, 2007 at 10:12 and is filed under spinning. You can follow any responses to this entry through the RSS 2.0 feed. Both comments and pings are currently closed.